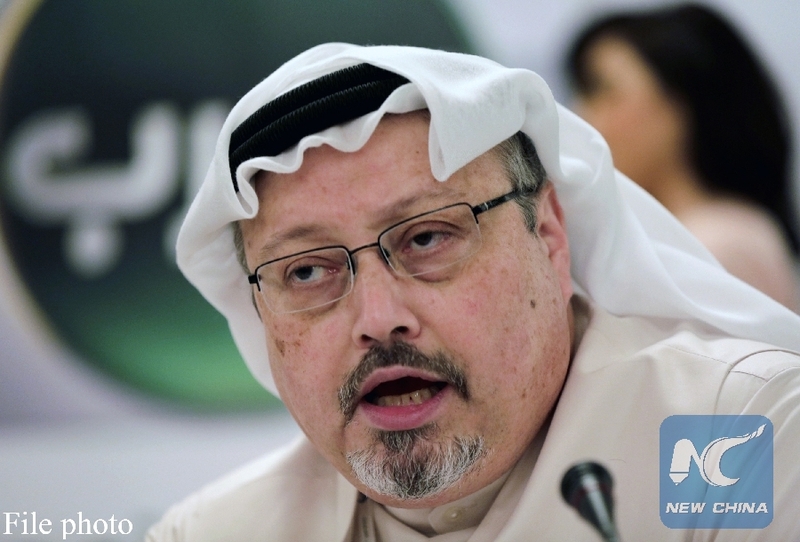 RIYADH, Jan. 3 (Xinhua) -- Saudi Arabia's Public Prosecution demanded on Thursday the capital punishment against five out of 11 suspects over murdering journalist Jamal Khashoggi, Saudi Press Agency reported. He said that the Public Prosecution requested death sentence of the five over the involvement in the murder, adding that all the 11 suspects attended the hearing with their lawyers. The attorney general also revealed that the Public Prosecution has waited until now to get information about the case from its Turkish counterpart. Khashoggi was murdered inside the Saudi consulate in Turkey in October, 2018 and a number of top Saudi officials were arrested in connection with the case.